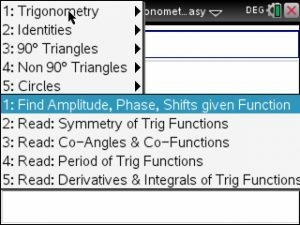 Need to analyze a trig function involving sine or cosine? That really means finding the vertical shift D, the vertical stretch aka Amplitude A, the horizontal stretch and the horizontal shift. As a side effect you will then be able to figure out the periodicity of that trig function. Now, all you is enter the given trig function and immediately all shifts and stretches show below. That simple. This latter function is neither shifted vertically nor horizontally. 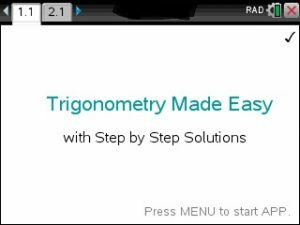 STEP BY STEP – Solve any 90oand non 90o Triangle.Just enter 2 sides and an angle, 3 sides or 1 side and 2 angles to view each step until triangle is solved. Read the Trig-Theorems and Identities. Master the Unit-Circle and its Coordinates. STEP BY STEP – Given Sin Cos or Tan find the remaining ratios in a 90 degree triangle. 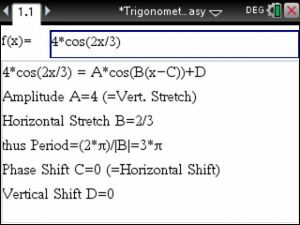 Convert Cartesian Coordinates to Polar Coordinates and vice versa.